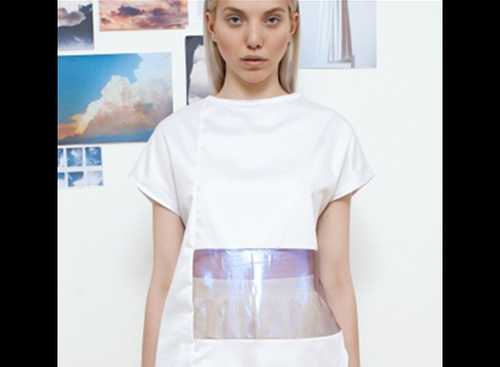 For Summer, Hungarian designer Anna Daubner gets inspired + reimagines the fencing uniform into perfect light + airy looks.. For her Summer capsule collection, the concept of materials + cuts was built on that of fencing uniforms: the surface of luxe sport fabrics, the simplicity of the cuts + the purity of white. 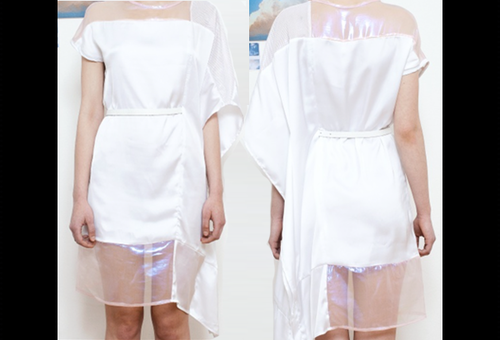 Using the simplicity of cuts often found in uniforms + in sportswear, it appears as Daubner looked to iridescent sheer insets of holographic cellophane fabric to give it that futuristic edge with an ethereal appeal which explains the inspiration behind the color theme – the movements of the sun + the sky, by the lights, shades + layers. Other fabrics used in the collection are cotton, mesh sport lining + silk. 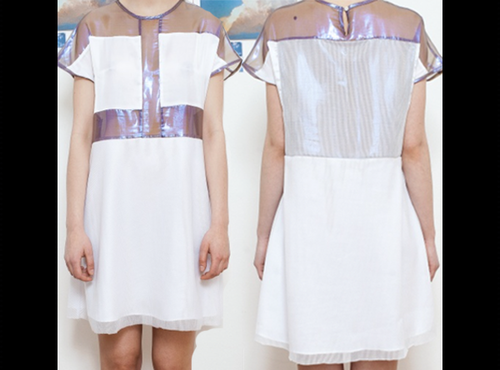 Anna Daubner’s pieces can be purchased at Not Just A Label.